Sometimes when you want to backup to NAS, you will get the error code 303 during the backup progress. Information is that Invalid network path or sharing service has been disabled. Because there is something wrong with the connecting to NAS. Invalid network path or sharing service has been disabled. Please check whether the network is accessible and whether the sharing service of the target computer exists, and then try again. 1. 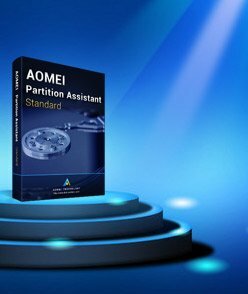 Please check if the computers or programs connected to NAS have reached the ceiling of NAS. 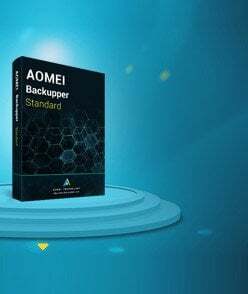 If it is, you need to disconnect some computers or programs so that AOMEI Backupper is able to connect the NAS to do the backup. 2. AOMEI Backupper is disconnect to NAS or there is connection timeout for some reasons. please delete "NAS.xml" file under the path（C:\ProgramData\AomeiBR). After that, please re-connect your NAS. Please note that "ProgramData" is a hidden folder. 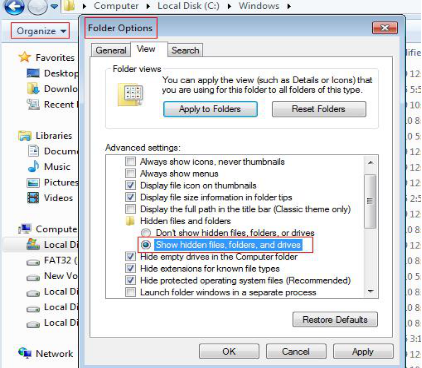 So you first need to show hidden folders/files on Folder Options.